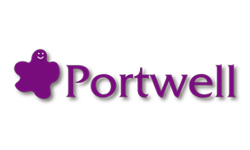 Founded in 2007 and headquartered in the Netherlands, European Portwell Technology is a wholly owned subsidiary of Portwell Inc., and is committed to high standards and engineering excellence. Portwell has extensive product portfolio includes PICMG1.X SBC/SHB, embedded computers, specialty computer platforms, communication appliances, and HMI. European Portwell provides both off-the-shelf and versatile custom solutions for applications in the medical/semiconductor equipment, factory/retail/finance automation, mission critical and network security markets. Our partners have taken advantage of our customer-oriented and dedicated engineering resource to satisfy their need for superior mechanical chassis, computer board design and modification, and specific system configurations, testing and assembly.